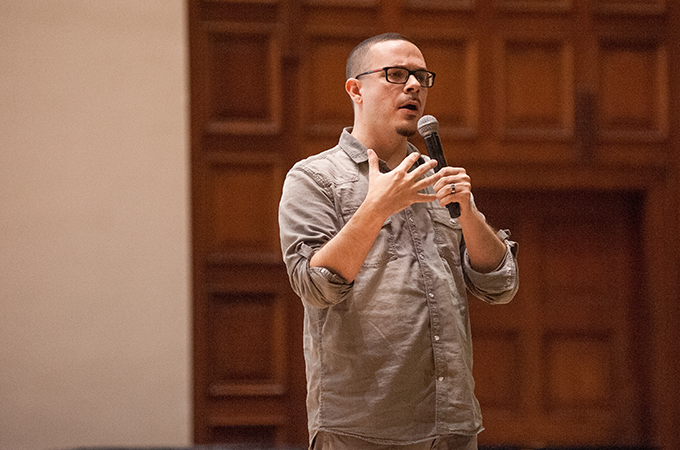 On September 27, members of the University and Redlands community gathered in the University of Redlands Memorial Chapel to hear journalist and civil rights activist Shaun King speak on the current political landscape. For the past three years, King has used social media to highlight and discuss news relating to civil rights issues, ranging from racial discrimination to police brutality. 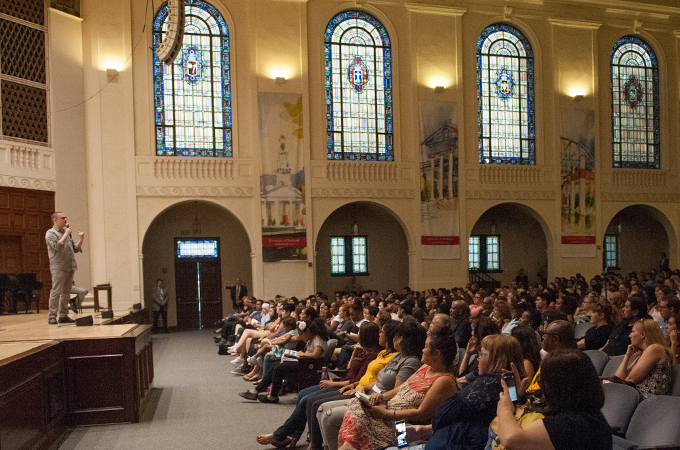 The event, organized by the Associated Students of the University of Redlands (ASUR), had originally been part of the 2017 Spring Political Series and was rescheduled after King sustained a shoulder injury in February. The series featured speakers from across the political spectrum, bringing a wide range of ideas and opinions to the U of R campus. King said he continued to share videos of police brutality, as these events began to define an era of American history. “It’s hard to know a moment in history when you’re in it. For example, in 1954 no one was calling it the ‘civil rights movement’—the country was in the middle of it, but no one knew it yet,” King said. King labeled humanity’s downturns—including the transatlantic slave trade, the Holocaust, Rwandan genocide, September 11th, mass incarceration, and now the election of Donald Trump—as “dips.” “Whenever there’s an introduction of innovation that disturbs the primary people in power, there is a backlash,” King said. Energy. “Think of it as riding your bike up the biggest hill of your life,” King said. People. King identified gatherings such as the airport protests after the travel ban executive order and the Women’s March as examples. Hope. “History teaches me to be hopeful,” he said.